Media criticized GOP presidential candidate Sen. Ted Cruz (R-TX) for claiming he never supported legalizing undocumented immigrants by pointing to his documented support of legalization in 2013. [MARCO] RUBIO: As far as Ted’s record, I’m always puzzled by his attack on this issue. Ted, you support legalizing people who are in this country illegally. Ted Cruz supported a 500-percent increase in the number of H-1 visas, the guest workers that are allowed into this country, and Ted supports doubling the number of green cards. So I think what’s important for us to understand and there is a way forward on this issue that we can bring our country together on. And while I’m president I will do it. And it will begin by bringing illegal immigration under control and proving to the American people. [DANA] BASH [(DEBATE MODERATOR)]: Senator Cruz? Sen. Ted Cruz, R-Texas, won plaudits in Tuesday night’s debate for his takedown of Sen. Marco Rubio’s, R-Fla., immigration reform effort in 2013. Yet if Cruz’s explanation of why he proposed an amendment to the 2013 legislation is true, then he blatantly misrepresented his own intentions at the time on at least four occasions. 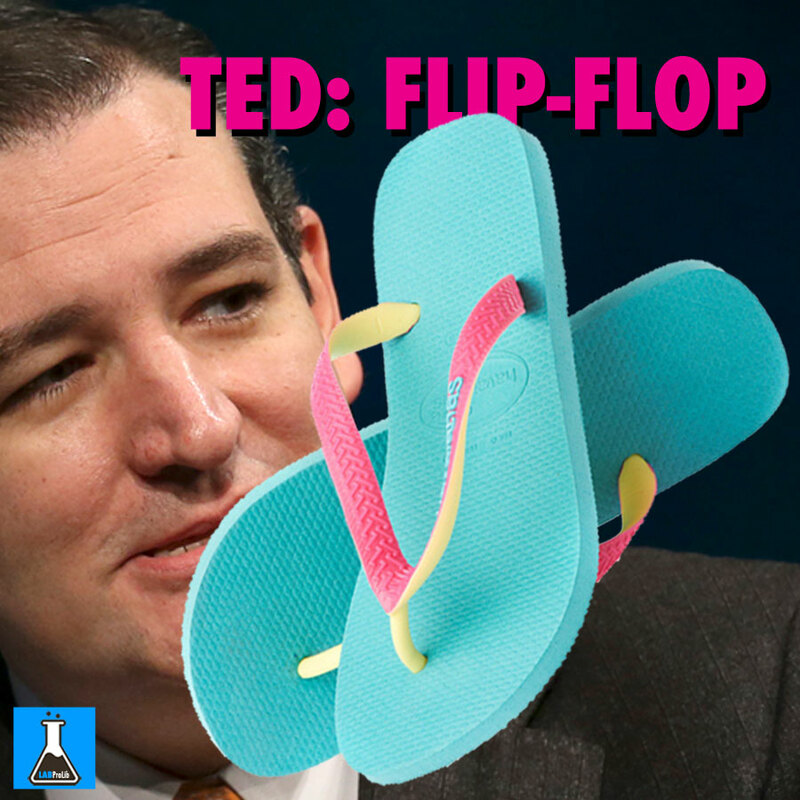 Cruz denied on Tuesday that he has ever supported legal status for undocumented immigrants. “I have never supported legalization, and I do not intend to support it,” Cruz said, when questioned by Rubio. That doesn’t stop him from trying, however. Cruz’s campaign said last month that his 2013 amendment was a “poison pill,” intended to undercut the main legislation and reduce its chances of passing. By eliminating a path to citizenship, Cruz hoped to turn Democrats against the bill. Top Cruz spokesman Rick Tyler repeated the “poison pill” assertion after the debateTuesday. It’s no surprise that in a GOP presidential primary season, Cruz has changed his story about why he put forward an amendment that would have provided a path for legal status, if not citizenship. The Texan is competing with Donald “I’m going to build a wall” Trump to win over a conservative base that is even more agitated about illegal immigration than it was in the summer of 2013. Ted Cruz loves legal immigrants. Except when he hates them. Thus–as a post-game interview with Jake Tapper after last night’s debate suggested–he’s having a little trouble explaining exactly where he comes down on immigrants who actually play by the rules. But here’s the hiccup: Cruz struggles mightily to decide whether or not he actually agrees with that principle. On one hand, Cruz–like many immigration hardliners–wants to stop illegal immigration. But he also wants restrictions on legal immigrants and that’s where threading the needle gets tricky on an issue he can’t afford to mess up. The senator, like every single other politician in America, talks differently depending on what audience he’s addressing. But, unlike some of those other folks, the Texas senator comes perilously close–if not slightly over the line–to taking multiple positions on this issue, the single most contentious of the campaign. And just like he said one thing about Donald Trump behind closed doors and another on the debate stage, he changes his immigration tune at breakneck speed. MAGGIE HABERMAN: Ted Cruz for the first time yesterday seemed to struggle on the issue of immigration. He has been very, very clear and focused and smooth in his responses. He was during the debate. But in an interview last night, it was the first time that he stammered, he had trouble getting through it. He introduced an amendment to what was the immigration reform bill in 2013. ALISYN CAMEROTA (HOST): The Gang of Eight bill, that he now criticizes. HABERMAN: He had trouble defending this yesterday. It was again the first time – Cruz is an expert debater, this has been written about repeatedly. He is very polished. This is the first time he is getting real scrutiny. It’s also the first time Marco Rubio is getting real scrutiny. Listen to Republican presidential candidate Ted Cruz on immigration policy these days and there’s little daylight between the firebrand senator and GOP frontrunner Donald Trump. They’re both in the deport-first-and-ask-questions-later camp. But that wasn’t always the case. In the summer of 2013, as Congress was mulling sweeping immigration reforms, Cruz was promoting a “middle ground” that would have dramatically boosted legal immigration and even given legal status and work permits to millions of undocumented immigrants already living in the country. That proposal included a whopping fivefold increase in legal temporary work permits, known as H-1B visas. Cruz jettisoned those increases weeks ago when he advocated for restrictions on legal immigration until the economy improves and specifically called for a temporary moratorium on all H1-B visas. For weeks after that flip-flop, which was contained in his sweeping immigration campaign proposal, Cruz took heat for repeatedly refusing to answer what he would do with the estimated 11 to 12 million undocumented immigrants who are in the country now. BRET BAIER (HOST): Now that amendment would have allowed undocumented immigrants to remain in the U.S. permanently and obtain legal status, so how do you square that circle? TED CRUZ: Actually, Bret, it wouldn’t have. What was happening there is that was the battle over the Gang of Eight, the Rubio-Schumer amnesty bill, which was a massive amnesty bill proposed by Senator Rubio, by Chuck Schumer and Barack Obama. And I was leading the fight against amnesty. I was standing shoulder to shoulder with Jeff Sessions, I was standing shoulder to shoulder with Steve King, leading the fight to secure the borders, and what I did — that particular amendment was an amendment I introduced to remove citizenship, to say those who are here illegally shall be permanently ineligible for citizenship. Now, the fact that I introduced an amendment to remove part of the Gang of Eight bill doesn’t mean I support the rest of the Gang of Eight bill. The Gang of Eight bill was a mess, it was a terrible bill. BAIER: That is not what you said at the time. And Yahoo dug up these quotes from back then. You said, “‘If this amendment were to pass, the chances of this bill passing into law would increase dramatically.’ A few weeks later, during a debate on the senate floor, Cruz repeated his belief that this amendment is the compromise that can pass.” And you repeated later in Princeton that “If my amendment were adopted, this bill would pass.” It sounded like you wanted the bill to pass. CRUZ: What my amendment did is take citizenship off the table, but it doesn’t mean, it doesn’t mean that I supported the other aspects of the bill, which was a terrible bill. And Bret, you’ve been around Washington long enough, you know how to defeat bad legislation. Which is what that amendment did is it revealed the hypocrisy of Chuck Schumer and the Senate Democrats and the establishment Republicans who were supporting them, because they all voted against it. And listen, I’ll give you the simplest proof why this notion that my fighting amnesty somehow made me a supporter of amnesty. Jeff Sessions voted with me on my amendment to eliminate citizenship. Now is anyone remotely suggesting that Jeff Sessions supports amnesty? Of course not. On May 31, 2013, Ted Cruz came to Princeton University for an annual alumni reunion and sat down in front of cameras in a packed auditorium with his old professor Robert P. George. During the conversation, Cruz addressed his amendments to the “Gang of Eight” immigration bill at length, including one that would have only removed citizenship, not legal status, from illegal immigrants. Asked directly, Cruz had every opportunity to state that he didn’t intend for his amendment to be adopted or for the Gang of Eight bill to pass at all and in fact replied the opposite. At no point did he describe his amendment as a poison bill or procedural maneuver to derail the bill. He had every chance to say he opposed a legal status for illegal immigrants and didn’t do so. But it is on immigration — where Cruz has vilified any responsible voice favoring reform and stirred up the party’s worst xenophobic tendencies — that things finally may have come home to roost.